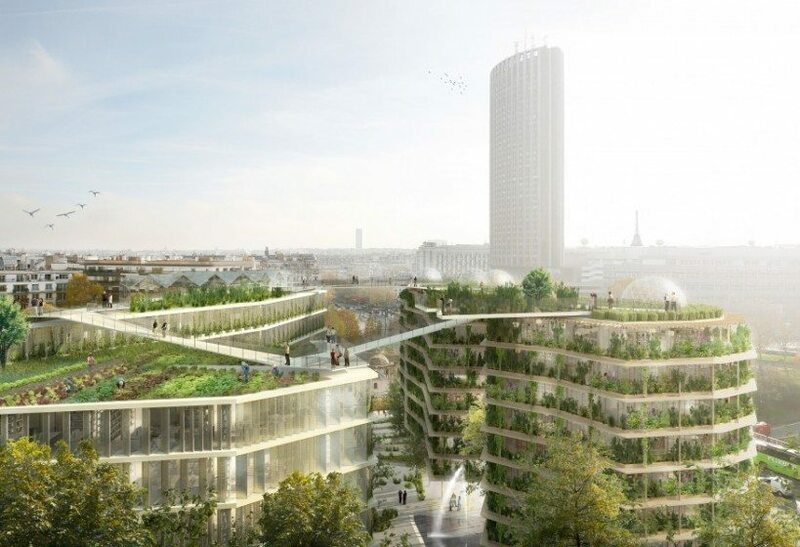 “Réinventer Paris”, or “Reinventing Paris”, the architectural program initiated by Anne Hildago (the Socialist mayor of the French capital) in autumn 2014 does not lack ambition. Though the diverse composition of Réinventer Paris’ contemporary urban planning teams should be the norm, in reality, it is a novelty. 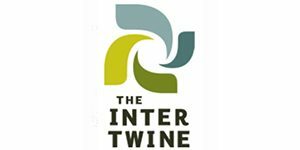 When I first heard about it, I was surprised and couldn’t really believe it until spring 2015, when I was convoked by two teams to support them in designing a visionary project with biodiverse green infrastructure for this competition. “The teams will consist of original and unconventional groups in which all disciplines can be represented, reinventing our ways of living, working, exchanging and sharing in Paris”. This statement, like many others of hers, opens a new area and perception of how a city can make demands and, therefore, drive changes. The architectural competition focused on the transformation of 23 areas of Paris. The council received 650 proposals for projects. At the end of the process, 22 sites (the 23rd was abandoned) found winners. The first achievements should be completed between 2018 and 2020, as part of the entry requirements for the competition included having willing investors from the get-go. The projects are diverse, as one of the requirements of this program was that the teams be diverse and inter-/transdisciplinary. Architecture offices had to look for team members if they wanted to apply for this competition, including: sociologists, ecologists, biologists, philosophers, engineers, agro-urban ecologists, social associations, NGOs, and others. Though in theory this should be the normal composition for contemporary urban planning teams, in reality, it is absolutely a novelty. While many star architects answered the call of this competition, only a few of them won a project. Some of the projects will set precedents for new architectural models, while others will show existing technologies in new combinations or multifunctional usages. Some of the projects will be built on bare plots; others will replace existing infrastructure, such as parking lots or warehouses. Finally, a number of projects will modify and retrofit existing buildings. 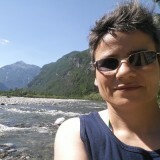 Some of the sites contemplate goals such as zero waste, zero carbon neighbourhoods; organic agriculture (such as ecological agriculture and permaculture); and green infrastructures. Green infrastructure will be designed in almost all of the 22 sites, bringing one form of nature back into the city. 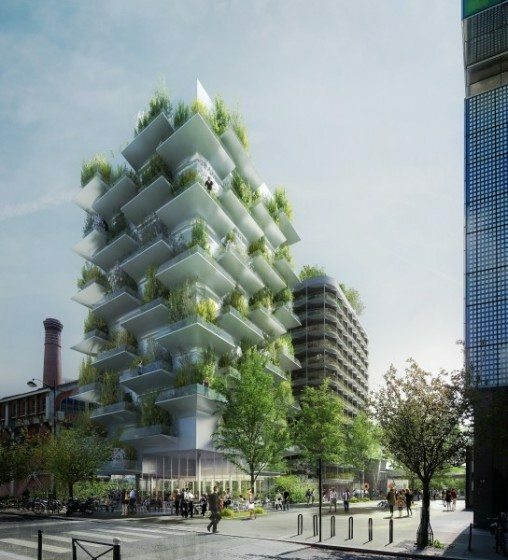 Several buildings will be constructed of wood, such as the project planning to rehabilitate the railway station Masséna in the 13th borough (arrondissement), already named “Babel’s ecological tower“ by several news media outlets. Several projects will be carried out near the ring road that encircles the center of Paris. Thus, a thousand trees will connect Porte Maillot in Neuilly. It will have a milfoil structure. The upper floors will be for housing, while the lower ones will be offices. At another site, Ternes-Villiers, vegetated towers will be constructed along the bitumen, in an arboreal environment. I’m going to present one of the laureates for which I know some of the team members. The project is called “La Ferme du Rail” (The Railway Farmhouse). In my opinion, it is one of the most interesting projects. Situated in the 19th arrondissement, a socially challenging borough, this team is going to create a space for encounters around urban agriculture (organic and permaculture), a space for education and further education; accommodation; and food production. It revolves around a community of people in integration (professional / social) as well as horticulture students. It develops market-gardening activities in short circuits, valuing the organic waste in the city. Its goal is to minimize the need for energy resources, food, and financial resources by the implementation of a circular economy. 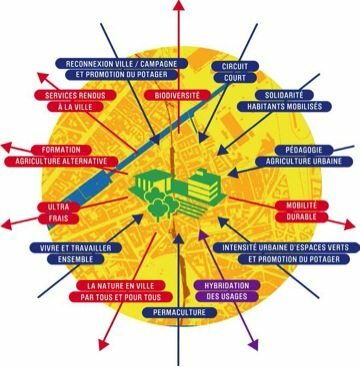 Borne out of the desire of residents and associations of the 19th arrondissement, which want to grow a place that combines urban agriculture and solidarity, “La Ferme du Rail” is the integration of people who fall between the cracks of the social grid. It integrates into the social tissue of the neighborhood and generates a service—agricultural production—that simultaneously creates jobs. In theory, “La Ferme du Rail” represents a model of sustainable economy and social solidarity linked to the interdependence between project stakeholders and residents. It relies on the skills of each, which are known to reinforce each other, for the benefit of the neighborhood. The activities of the farm will be organized in local and territorial exchange networks. Farmers offer the residents a range of services: collection and treatment of local organic waste, gardening, catering, selling vegetables, organizing workshops and events, and maintaining green, biodiverse spaces. Welcoming everyone, “La Ferme du Rail” will feature a restaurant and a grocery-primeur, places for the tasting and sale of products of the farm and partner farmers. It is also intended to be a place of awareness that addresses the urgent need for meetings and discussions around nature in the city and the alternative food supply. Whether training in gardening and composting activities, disseminating information on reasoned agriculture or organic farming, or the exchange of best practices around urban ecology, “La Ferme du Rail” will be a resource for social and cultural exchanges, whose residents—and those throughout Paris—can enter freely. Why do I write about this? My motivation is my ongoing thinking and concerns about how we can transform today’s society today into a sustainable society for the 21st century: whose responsibility is it to take the first step? Why do we still have so many blockages? When I see what is going to happen in the next few years in Paris, and what has already happened, I keep believing and keep hoping that it is possible to change and that one person can be the engine to start such a shift; not everything within the proposed “La Ferme du Rail” is going to work, but the project may serve as a model for more possibilities, acting as one part in a new sustainable and visionary chapter in history. Of course, it is also a big, challenging project in the sense that not all techniques of construction or productions (urban farms, urban permaculture, etc. ), or complex levels of participation, were “tested” or experienced until very recently. But this is completely part of the project—to have a model and to enter into new territories of trials and errors. It is not possible to know already all the answers and solutions to such projects, which have never happened before. The projects need now to enact their first steps; they will encounter problems, but will also find solutions and grow as a result. The multidisciplinary nature of the teams will further support finding solutions, because different perspectives will be involved and will be discussed: technical, logistical, economical, ecological, and social. The city of Paris will accompany the realizations of these projects, document them, and monitor the projects to keep them on track to fulfill what they promised as laureates. It’s not going to be an easy path for all these winner teams, but I believe that this process of debate and discussion is vital in order to start to make changes together. 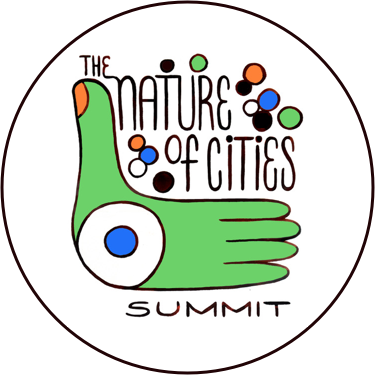 I believe that this program will have an emblematic role and support a change in planning in the future, and will successfully integrate solutions for supporting “Nature in the City“, because it is comparable, at some levels, with what happened in Basel City—my city—with the biodiverse Green Roof initiative and, later, the law for Green Roofs. It was the city that decided to bring in this change, with several steps over several years. What was very important in all these initiatives was to show examples of realized biodiverse green roofs, to prove that it is absolutely possible to design and install biodiverse green roofs. The key to this is, as soon as people see that the green product or solution works, it will start a movement of changes, which will have a positive impact on citizens, the economy and education. Wonderful, Nathalie! Even better because the urban farm, now known as La Recyclerie, has been a huge success and is ticking loads of boxes. If every city had holistic examples like this, it won’t be long until it becomes trendy to be intelligent, collaborative, ecologically astute, and socially engaged.